Security deposit, No smoking in the building. New Century Hostel Granada. We wellcome you to your secong home in granada. We're located 1 and 1/2 block away from Fortaleza La Polvora Musium. We offer accommodation with new beds. 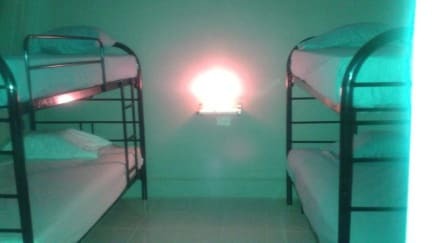 Dorms are maximun of 4 guest per room with it's own bathroom, Private rooms with queen bed for 1 or 2 guests. NOTE we have rooms with AC for sleep time. 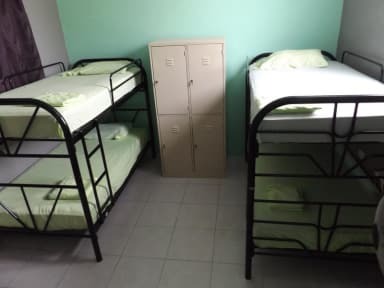 Free WIFI, cleaning services dayly, filter water through the whole building, security 24 hours, very well equiped kitchen for guests to cook their own meals, Laundry services for a fee, vending machine.etc. We are located on Calle El Bolson waking distance from Central Park. 1 block and 1/2 From Fortaleza La Polvora Museum and Maria Auxiliadora Church two of the most important point of attraction for tourist in Granada. Perfect place to stay with hang-out spots with a breathtaking view of Mombacho Volcano from the entertainment room's balcony.